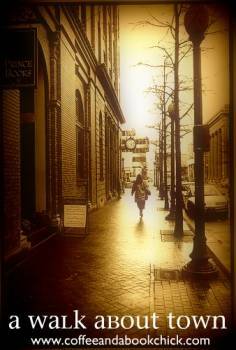 A Walk About Town is a weekly feature hosted here at Coffee and a Book Chick throughout the month of December. Anyone can participate; for those who do, simply write a post, include the button you see to the left in the sidebar, and add your link in the Linky below so that we can all visit your post. You do not need to include a picture to participate. "A beach park & playground for every body." It's time to put aside simple disagreements with others. Not only is it the holidays, but no matter how big it might feel at the time, anything is pretty inconsequential after you visit Grommet Island Beach Park in Virginia Beach, Virginia. On the History tab of Grommet Island's web page, the tag line reads "From Adversity, the Birth of an Idea." Nothing could be more compelling and humbling. In 2006, at the incredibly young age of 33, Josh Thompson was diagnosed with Amyotrophic Lateral Sclerosis, commonly known as Lou Gehrig's disease. A passionate surfer, Josh was forced to begin a new chapter in his life. While family and friends headed to the beach one summer day, Josh had to stay back because there just wasn't any access to the beach that could accommodate his wheelchair, nor was there any place that he would be able to get across the sand to the shoreline and see the waves he loved. It is this obstacle that inspired Josh's father Bruce to begin the plans to create a place that would be accessible to everyone. The city of Virginia Beach also came through and with the help of the city and local companies, not to mention the resounding support of the residents of Virginia Beach, Grommet Island Beach Park at 2nd Street became a reality and just last year, in 2010, the Grand Opening was held. Since that time, more than $4 million has been raised to support research, park funding, and the ALS association. This is one of the most extraordinary places I've ever been to. 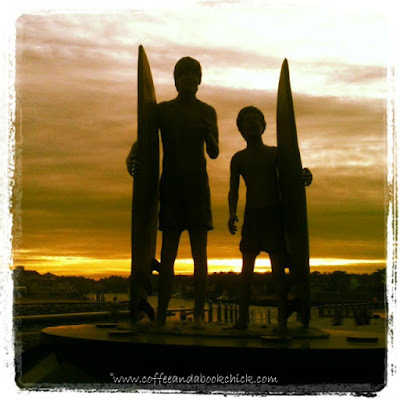 The vision of creating a spot for anyone, regardless if they were in a wheelchair or not, to comfortably access the beach and shoreline also produced a playground and a statue of father and son surfers. I loved every moment today, but I started to wonder about other beaches in the country, in the world. How easy is it for someone who is wheelchair-bound to access the shore and see the ocean that brings peace to many? How could you help make a difference in your community? It is an unprecedented location and I was honored to be there today. I tip my hat to Bruce Thompson, the city and residents of Virginia Beach, the companies supporting it, and most especially to one surfer named Josh. To see more about the site and to make a donation, please click here. For more information on the ALS Association and to make a donation, please click here. To participate in A Walk About Town and to highlight a spot in your area, grab the button in the sidebar, write up a post, and then add your link to the Linky below. Well that just brought a tear to my eye this morning! Guess I'd better start making plans to retire up there, because when I am no longer able to walk, I would wither away if I weren't able to get near a beach. 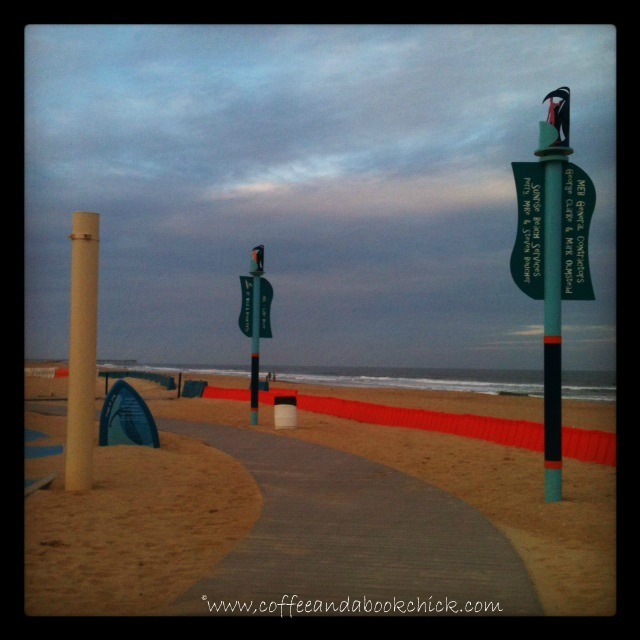 Aren't you falling in love with Virginia Beach again? Thanks for reminding me what a great place Virginia Beach is to live. What a great story! Stuff like this just makes me love America more - we really do TRY to take care of our neighbors. That sounds like a special place. I never realized how difficult it is to navigate the world in a wheelchair until my father declined in his final days. He would have loved to have visited a place like that. My husband's father was diagnosed with ALS this year, so this post touched me very deeply today. Thanks for posting this. I need to visit this beach soon. A very wonderful story and great photos! 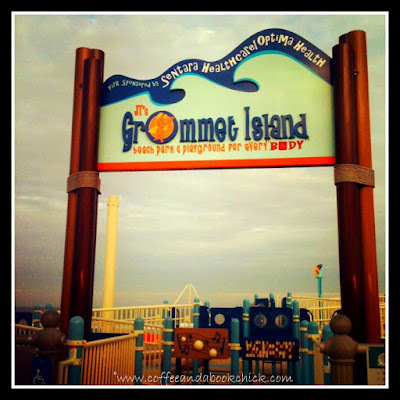 The concept of Grommet Island is very similiar to Morgan's Wonderland in San Antonio. It is a theme park that is for ALL people. There is nothing there that a special needs person can't participate in. I love the idea of the Walk About Town feature. We can all learn a bit about different places. I love it! Thanks for sharing! This is relevant, too: with my bum knee right now I'm gaining a new appreciation for access issues. Having been able-bodied all my life, I'm just now noticing how difficult so many places & things are for folks who aren't! What a sad-and-then-happy tale. So beautiful! You are making me want to visit Virginia Beach! Sandy - It's such a touching story and completely motivating, isn't it? I felt so humble to be there and it's such a neat place. I can't wait to go back there more and I just read that there is an annual walk to support it and to raise money for the ALS association. And, yes, ma'am, come on up to Va Beach; though I know the Florida beaches are a pretty nice place to be (I love North Florida). Hopefully every beach will have this type of access built and it will become the standard! Amber @ A Little Pink in the Cornfields - It's a wonderful example and I hope we see more of it! bermudaonion - It is surprising to see how inaccessible most places are, and you almost have to wonder how new spots can be created without this thought foremost in the planning. I really hope that this is something that becomes much more prevalent in new construction, and old spots redone. Everyone should be able to experience fantastic places, whether it's simply entering a building or a home, or heading to the beach with family and friends. Thanks for sharing your experiences with your father as well. It's extremely frustrating when it's someone you care about and love who is denied access. It's an important thing to remember for everybody. Zibilee - Thank you for sharing this with us; I am so sorry to hear about that, and I can only hope that the cure for this horrible disease is uncovered soon. With research and funding, amazing things can happen. I will pray for your father-in-law, and if you ever head up this way, do let me know. I'd be thrilled to show you around town. Annie @ Buttery Books - I am so excited to hear about Morgan's Wonderland in San Antonio and I love how a theme park was created to accommodate everyone! That is so cool and it's motivating to read that there are people out there who make this a priority in their new construction. I love it, thank you for sharing! And thank you for participating this week! pagesofjulia - With you coming off of your knee surgery, I can only imagine how difficult things are in trying to maneuver around! It certainly does provide a different perspective on life and I think it's so valuable for everyone to understand. Thank you also for participating this week! I can't wait to see more about your town and your travels! bibliophiliac - Thank you and yes it is beautiful! And let me know when you are in town, we will have to grab a drink or some coffee!! What a fantastic location! I'm so glad you're enjoying exploring your new home. I really have to applaud Virginia Beach for making accessibility a priority, and I hope other beach communities will follow! Great post. My daughter was briefly in a wheelchair after an operation and I will never forget pushing her along in the snow and difficulties of access. What a great idea! I remember the first time HB walked on the beach after his accident. 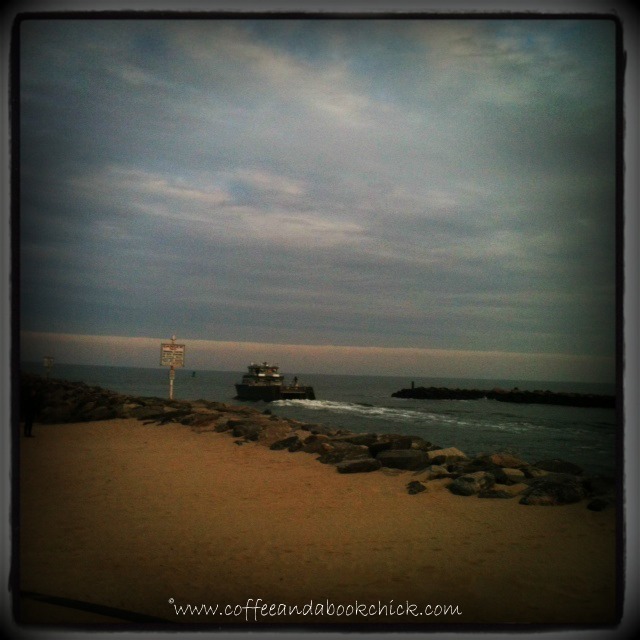 I was scared to death his leg would buckle from the uneven walk across the sand.